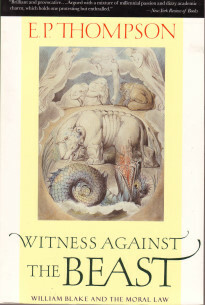 This book was an attempt to challenge many of the assumptions that had been made concerning the influences behind William Blake's work. For those of us who are not scholars of Blake the most immediate interest can be found at Appendix 1 where the fascinating tale of how Thompson sought, and quite amazingly found, the Muggletonian archive is recounted. Thompson recounts how the last known Muggletonian was anxious that the collected works of the Muggletonians be circulated throughout the English speaking world, I therefore hope that this site would have met with Mr Noakes approval.